I know that I said that I would not be blogging much but I could not pass up the opportunity to check out the brand new Truth District which opens tomorrow brought to you by Truth Hawks of Truth hair. Looking around, Cory Edo the builder did a great job giving it the feel of a sleepy little seaside town. There were many of the stores that I love and easily accessible in the layout as well as being virtually lag free to me as I walked around and took photos and I did switch viewers three times. But best of all!!!! Join the Truth District group and then run over there when it opens and grab some nice gifts as well as some new Truth Hair Releases and a free one is all colors for the opening. The opening gifts will be out until July 5th. Below are some photos that I took. Do be sure to check it out! 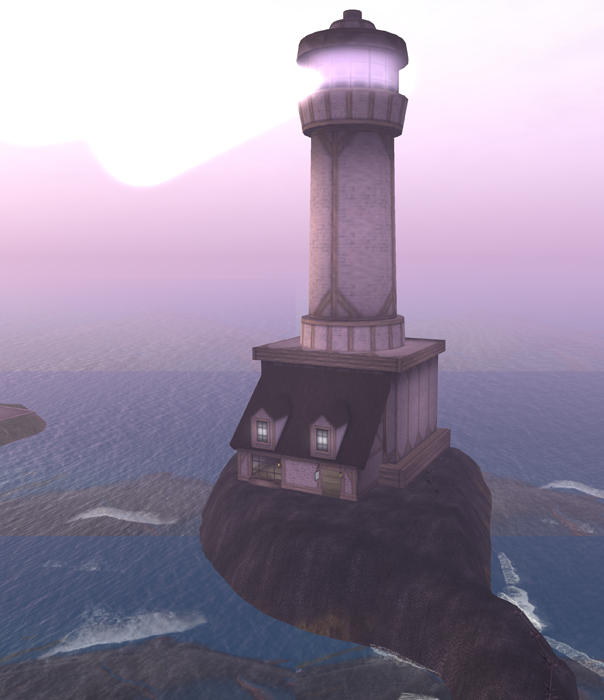 The sim will open to the public tomorrow at 9 AM SLT. 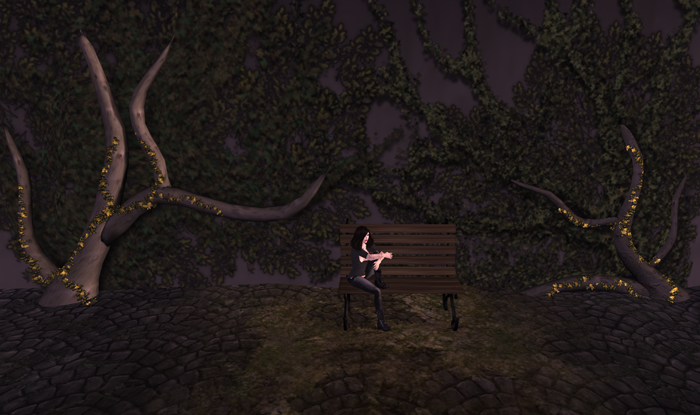 Here is your SLURL: http://maps.secondlife.com/secondlife/Truth%20District/128/128/22. MOOD is in Project Themeory! The theme this weekend for Project Themeory is the Game Edition weekend. The choker that I am wearing is Final Fantasy themed and called “Summon”. The chokers are unisex and come in both male and female versions. 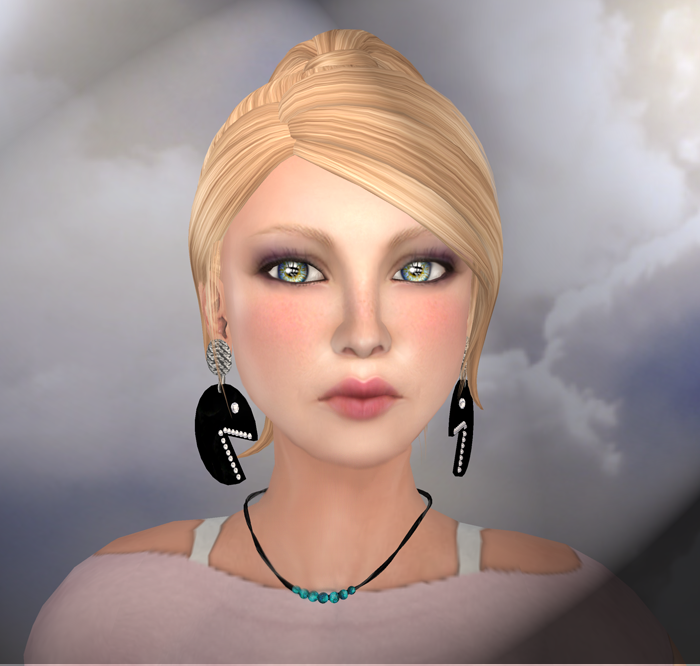 The earrings that I am wearing are from mood as well and have a fun pac-man theme and are available this weekend as well for project themeory. These are very fun and I loved Pac Man as a kid. Both are available this weekend at the MOOD Mainstore. I also have on a brand new skin from curio called Chic in “Mode”. I am also wearing Fashism eyes.